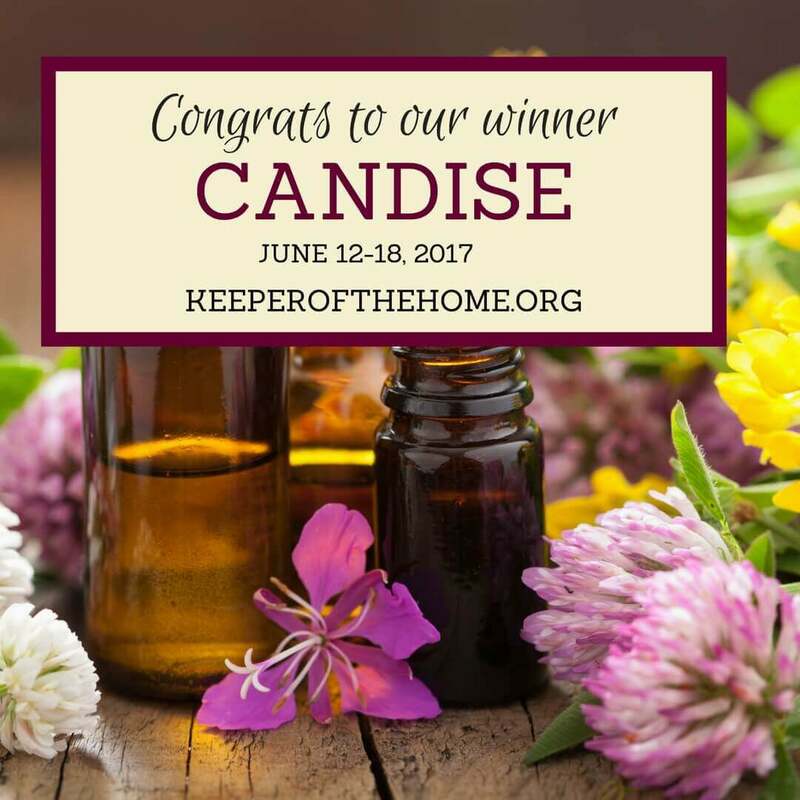 UPDATED TO SAY CONGRATULATIONS TO OUR WINNER! Note from Ann: We’re so excited to bring you this Summer Giveaway, inspired by the outdoor fun that so many of us have (or, incidentally, don’t have). But whether you love camping or hiking or hiding in the A/C, you’re sure to love this package, worth over $180! Enter up at the bottom of this post between today (June 12, 2017) and June 18, 2017 at 11:59 PM EST. What are blending and diffusing essential oils? Blending essential oils is all about inhaling to feel better. This blending process and all the recipes out there can be super overwhelming, but we’ve decided to make the blends for you and to GIVE.IT.AWAY! Woohoo! Summer days and nights can be long and hot, but full of fun. Camping has always been a summer favorite. 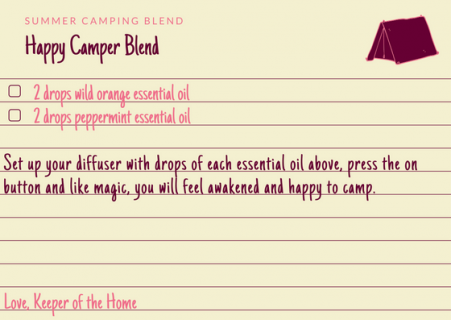 To keep up with the summer and help you make camping memories, we’ve created amazing essential oils blends to keep you happy and healthy. This will be a summer to remember. It’s hard to know where to start…or what to stock up on, especially when you’re on a budget. These 5 oils are what I consider summer essentials. dōTERRA Breathe® Respiratory Blend: As a popular essential oil blend, doTERRA Breathe can be used for a clearing, refreshing aroma. 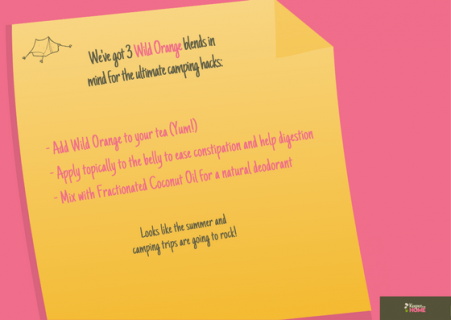 dōTERRA Wild Orange: With multiple health benefits and an energizing aroma that can uplift the mind and body, Wild Orange has become one of doTERRA’s top selling essential oils. dōTERRA Melaleuca (Tea Tree): Melaleuca, or Tea Tree oil, is best known for its purifying qualities, which make it useful for cleansing the skin and home surfaces, purifying the air, or promoting healthy immune function. Want to know more about Tea Tree Oil? Don’t miss “How to Use Tea Tree Oil,” which also has some blend ideas and recipes! dōTERRA Peppermint: The high menthol content of the doTERRA Peppermint essential oil sets it apart from others when it comes to quality—making it one of the best-selling favorites. dōTERRA Lavender: Lavender is often considered a must-have oil to keep on hand, because it’s so very versatile. It’s well-known for its calming and relaxing properties that promote peaceful sleep and ease feelings of tension. 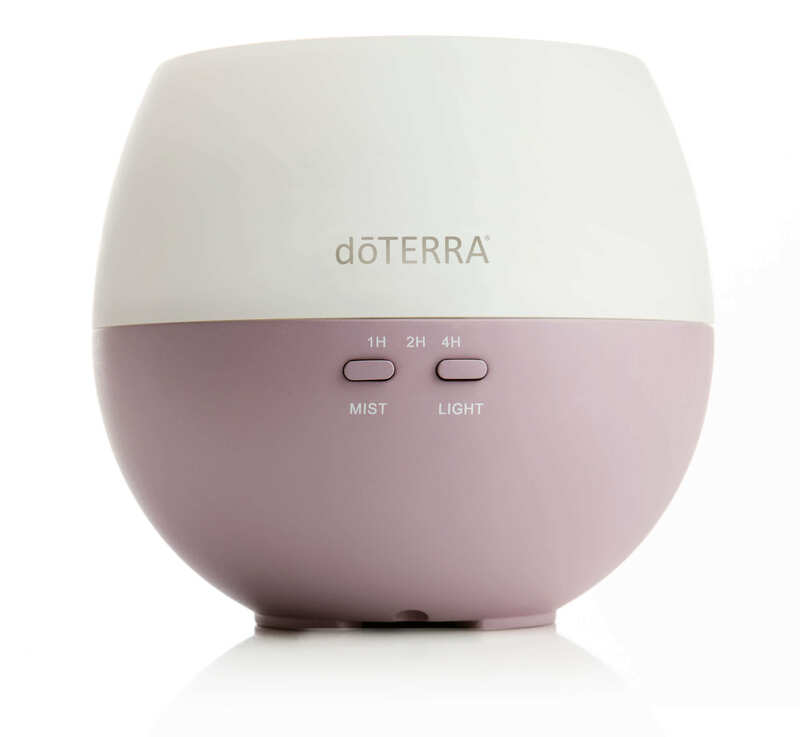 The dōTERRA The Petal Diffuser is a small, convenient, and night-friendly diffuser. Its far-reaching mist is designed to help purify and humidify the air around you. I love mine…so much that I bought an extra when they were on sale. You just never know who will need one (like your daughter or your best friend or that lovely reader who enters a giveaway). 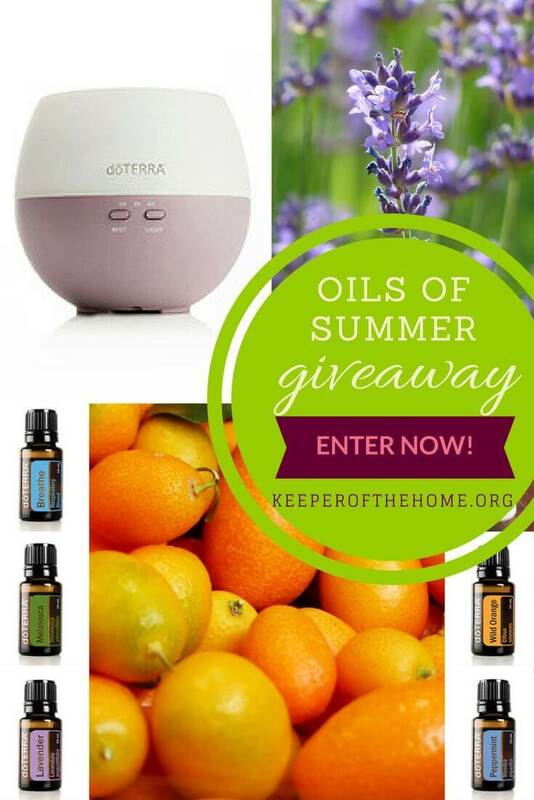 With dōTERRA Essential Oils, the Petal Diffuser, AND ready-made blend cards, this giveaway will help you and your family stay healthy, safe, and protected while you make your summer memories. Definitely making food on the fire – especially roasted marshmallows! Summer fun for me always involves the beach. Summer fun is spontaneity! I love having no set schedule in the summer. Fantastic giveawayidea ! I love all of the oils you have!!! I am soooo wanting to make natural cleaning products for the home, but haven’t been able to afford to, also been trying to find a way to get rid of dog smells without making my home more toxic. This would be such a welcome gift!! I have been trying trying to treat several autoimmune conditions and just can’t afford to do everything I have been needing to change. Bless y’all!! We love hitting the beach in North Carolina with family in the summer and camping in the PNW with friends and family! Wow! What an amazing fun giveaway!! I love camping too! We go 5-6 times a year to the mountains and a few times a year to the beach. I just love being in nature. WE always have so much fun and make so many wonderful memories! Just realized my name is spelled wrong in previous post. Sorry. I have correct it on this one but can edit my previous comment. The best part of camping is Samores! We are planning a fun Knoebels camping trip in August! I love the quietness in camping, just being out in nature with the family and spending quality time away from all of the many distractions. My favorite part is eating. Camping pancakes taste SO good! I love to swim in our swimming pool. Spending time with my family outside- our first summer in a house and not in an apartment! Amazing! Your essential oils became part of my day and night routine! My day is not complete without them! our fave is family time by the campfire thank you for such a generous giveaway! Fishing, campfires, hanging out with family is the best part of camping. 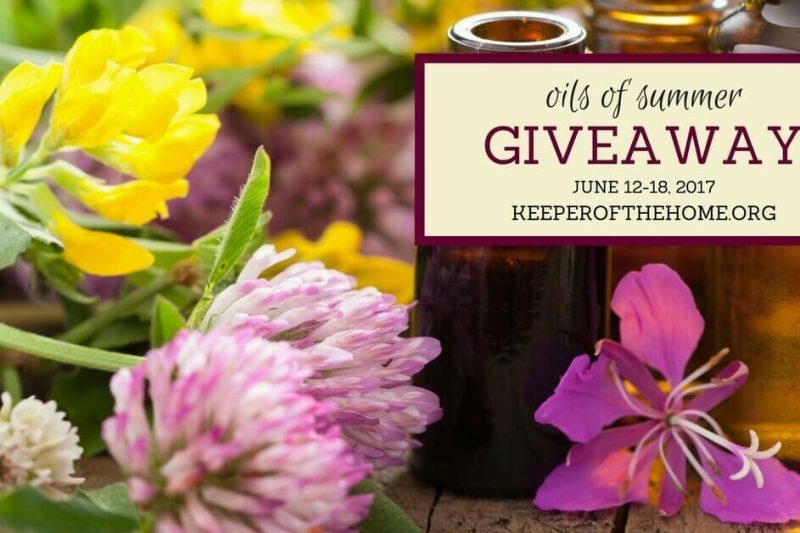 I’m new to essential oils and I think this giveaway would be the perfect introduction for me! I’d love to win. 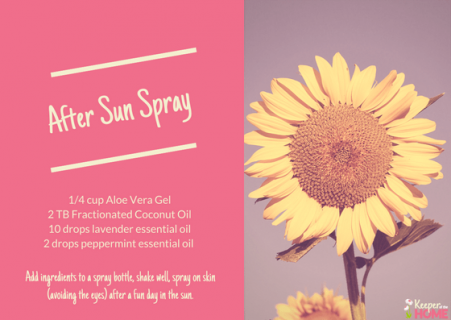 We love to be outside in the summer, so these oils would be super helpful! We love hanging out in the backyard on summer nights playing tag, swinging on the swingset or roasting marshmallows around the fire pit. I’ve never tried essential oils,they kinda scares me,but this little kit with cards seems kinda easy! full sun. I go through a lot of oils in summertime. Tahoe/Fallen Leaf Lake. Backyard fun. Sitting around the campfire and hiking. I’m outside with friends and family as much as possible all summer long! Swimming, cookouts, and long evening walks are some of my favorite summer activities! This giveaway sounds amazing! I’m not a big camper. My husband likes to camp. We like water parks during the summer. What an incredible giveaway! I love reading your posts. I forgot to say my favorite part of camping is the way food tastes when cooked outside. Summer fun is anytime I can get together with any or all of my children. They are such a delight to my heart. My husband is not a big camper, but I would like to change his mind. We’ve only ever camped in our backyard. Thank you for this amazing giveaway! Hooray for summer! Summer is probably the most fun time of the year for me. Camping is my absolute favorite thing to do. My favorite part about camping is definitely enjoying the outdoors with family and friends. And just the absolute joy you get from sitting around the campfire roasting marshmallows and talking about life. I also love swimming in this lake where I go camping every year. My friends and I all jump off the dock and go swimming with the fish. It’s altogether an amazing experience I would not give up for the world. So excited to try out these recipes. Insect bites amd sunburns were the worst for me as a kid. Making different memories for my kids! Love the fresh forest air and cooking outdoors! My favorite part of camping is the food! Coffee made on a campfire is the best. Summer fun = hanging at the beach!! I love unplugging when we camp! Being outdoors! Grilling! Unwinding teaching my kids about nature! I love to use essential oils to help me relax in the evening before bedtime. I love camping. My kids enjoy outdoors and they love close knit family fun. we love setting fire outdoor and everyone gets to participate. What an amazing giveaway. We go to wisconsin and fish. Outside qyite a bit! I love sitting around the campfire with my family. It’s where we relax and have some really good talks! I love the smell of campfire and smores! I always love camping by water. When I lived in California and my boys were young (eons ago) I took them camping on the beach in our station wagon. Some of the most fun we ever had! 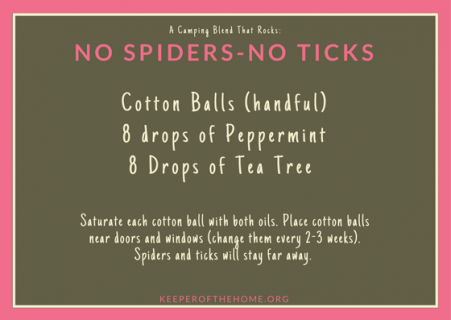 Love the idea of camping but afraid of bugs! We swim and read a lot. And lots of parks. I love camping on the beach and lying on hot sand to relax my muscles. I love campfires and non gmo/organic s’mores! We love the beach, so we go 1-2 times/month (all year round, actually, but more in the summer). We also camp at the beach – it’s not totally removed from civilization, but it’s wonderful to sleep to the sound of the waves. I have never tried oils! Would love to win so I could try. I love camping with my family, but camping in the summer weather in south Florida is not very comfortable. So we hang out in the a/c instead during most of the day. The essential oils along with the diffuser would be a welcome addition to infuse our abode with nice and beneficial scents. I love essential oils! Thank you for this perfect giveaway offer. I love spending time outside by the pool during the summer. It is so much fun. I have never gone camping but it’s on my to do list. Thank you for such a great giveaway opportunity!! My family has 2 favorite summer get aways; camping and the beach and both make us super excited about summer. 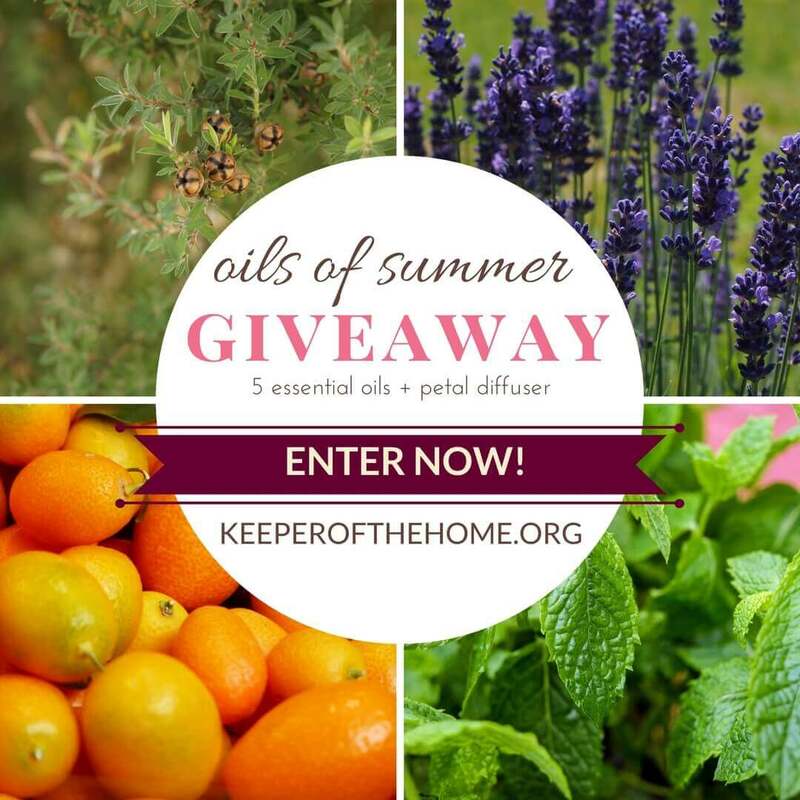 Thank you for this lovely oil of summer giveaway. I HOPE I WIN! I love camping!! I love how we get away from all the pressures of a tech happy world. I am always learning something new about essential oils and look forward to learning more! My favorite part about camping is getting to sit around a fire and reminisce with family! I’ve gotten too old (76) to enjoy “roughing it”, but I love, love love essential oils! I’d love this! Thanks so much for the opportunity. Camping is a time for our family to unwind from the busy hectic schedule. We enjoy being outdoors and spending time as a family! 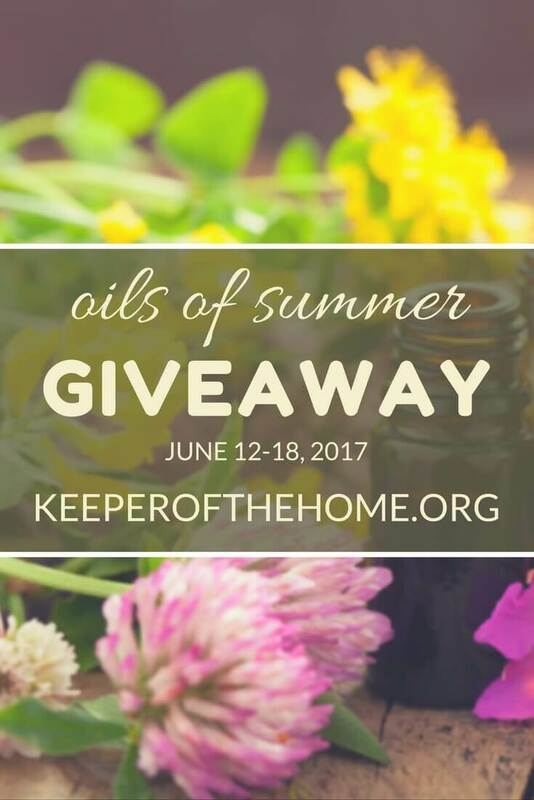 This is an awesome giveaway to start the summer. I forgot this part of the post ~ We will spend this summer updating and organizing our new house. 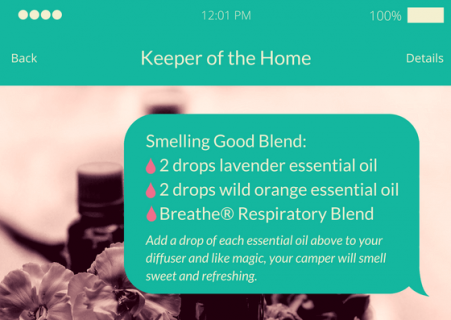 I am so interested in essential oils…they really do help with mood and freshen everything! Have never done this. Would love to win! The recipe given for flea and tick spray is very interesting. I have never made a natural bug spray but I will definitely try this. Thanks for the giveaway. This would be great. I could use a second diffuser. Thank you for this opportunity. I am looking forward to discovering more about oils! I am fairy new but loving what I have used! I absolutely LOVE camping, and I mean tent camping, out in nature! I would love to drive around and camp in each state, that’s my goal! We LOVE hiking and camping! We leave for a 17 day camping trip next week and cant wait! Thanks for the great giveaway! We would love to win! We love camping it’s a great way to destress out in nature, I find it very calming. Thanks for this! I am not much of a camper but would love to get into it! I am just such a wuss when it comes to all the bugs and animals! Keeping these essential oil recipes on hand would help 🙂 My favorite part of summer is spending time with family and friends.. I love doing BBQ’s and hanging out outside. I love when the weather is so nice that we can hang out late at night outside and it still feels great out! I have wanted to camp since I was five years old…and thirty-six years later, I have yet to make it happen. Hoping this will be the year. I can’t wait to be surrounded by God’s natural world. Hallie, just a note that YOU WERE THE WINNER (our first winner didn’t respond to our emails). Please reply to the email in your inbox and we’ll get them sent to you! Some the fun summer things my family does are snoballs, water play , summer movies,parks and play in water splash pads in ur community. I am a beginner to essential oils but have had great success in the little I have tried. I would love to learn more! Thanks for the giveaway! We like to go hiking and enjoy nature. We like spending the day at the beach (did it yesterday!) and swimming. Anything that keeps us wet and cool since it is so hot where we are! Wow! What a generous giveaway! Thanks for the chance! We aren’t a camping family but loved a trip to mountains staying in a cabin for the week! Love just spending time with the kids, at the beach or just outside. 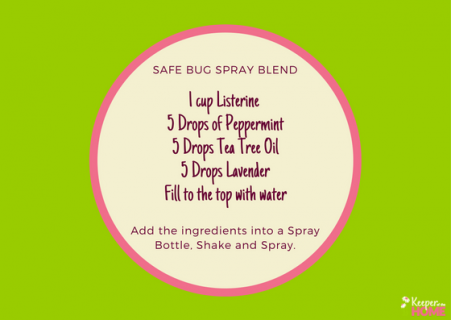 Love using EO’s instead of unhealthy bug sprays! I so enjoyed the flexibility on the summer schedule! The grandkids swim in the pool while watching them from the backporch. Plants, candles, comfy chairs and listening to the sound of laughter and birds says summer to me! I’ve been using essential oils for quite a few years now and so enjoy their benefits! I love DoTerra oils. Thank you for the opportunity to win some, especially the emotional blends, need! My favorite thing about summer are the lake days spent with family. Which also can turn into camping trips! ah, summer fun for my child is all about the swimming pool! I’d love to go camping more (albeit in the spring or fall), but right now life is more conducive to just walking down the street to water…I do hope to get to the beach one time at least! I love all things natural! I’ve been doing a lot of reading about the benefits and healing properties of EOs. I’ve started a collection of EOs for natural cosmetics, soap, cleaning products, etc. I think maybe the fruit. 🙂 I could live on watermelon, cherries, and corn on the cob . . .
My favorite part of camping is the fresh air and sunshine. Frankincense, Orange brings me to my happy place! So many of these will be so useful! I hope to win! 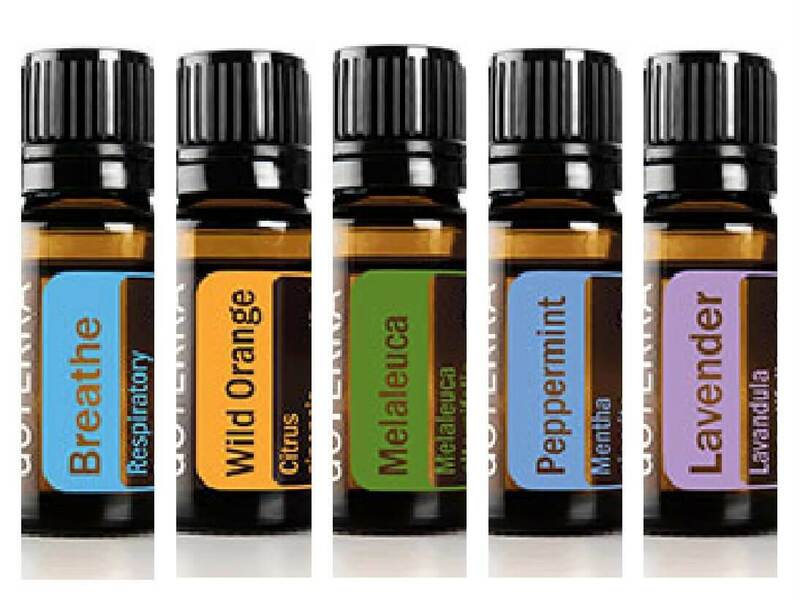 Its so hard to find good essential oils that i like and can use everyday in every way. Keeping my fingers crossed and breath held. Love to try this out! Sunshine, swimming, and horseback rides! Well we are remodeling our kitchen so we will be roughing it and eating simply for a few weeks. Thanks so much for offering this great giveaway! Summer is the smell of fresh cut grass, afternoon thunderstorms, beach walks, star gazing and best of all, snuggling by the campfire, insect-free, thanks to TerraShield! we love going to the beach during the summer. What I love about camping is getting up in the morning, making coffee over the fire. This looks wonderful!! Excited to see the eo recipes for summer! smelling fresh mowed grass and sitting on the porch watching the lightning bugs! I love wilderness camping! My husband and I used to go camping on an island in the middle of a lake. Now that we have kids we stick to going to the beach. I’ve been interested in essential oils for awhile, but they’re not quite in the budget. I’d love to win and start experiencing the benefits they offer! We love the flexibility of summer days, spending more time with friends and weekend get-togethers with extended family. My favorite part of camping is being one with nature. Grilling outdoors and visiting. We love to take the little guy down to the stream where we find crayfish. He loves camping! We love hanging out at the beach when we don’t have enough time to get away for a full camp out. But even if we only make it to the beach, the kids take their fishing rods and we stay, swim and play ALL day, make a little fire to cook our food, have a little nap and then just go home when it get’s a bit cooler or it’s starting to get too late. We love camping because of the “home away from home” feeling it gives. It also tends to bring us closer as a family because nature and family are more of the focus and enjoyment rather than Tv’s and phones. We love sitting around the fire and relaxing at the end of the day. My favorite part of camping is the time spent outdoors with my family. I’ve been learning about essential oils for about a year now, and we have thoroughly been enjoying them! This last winter, I borrowed my sisters diffuser and it was wonderful! When we go camping we always try to find a place with a river, so we can go tubing, it’s so much fun! Lavender oil, just can’t get enough of this gem!